Hilton Busan celebrated its first anniversary this month. The luxury oceanfront hotel located in eastern Busan has risen as an iconic landmark in the region for its beautiful scenery and architecture since its grand opening on July 1, 2017. It has been touted as a top “destination hotel,” inviting guests to visit the area particularly for the hotel. 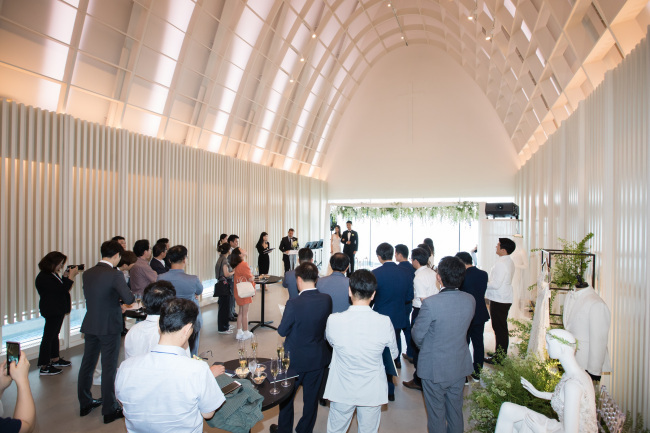 Celebrating the success, the hotel held its Gourmet Journey event on July 12, allowing participants to taste special set course menus prepared by executive chef Kang Jae-hyun. The guests entered the Banquet Hall Kitchen to watch the chefs prepare dishes up close. They offered a taste of the cold plates, too, such as canape and sushi. The set course menu’s main dishes and desserts were prepared at the hotel’s Da MOIM restaurant. After dining, guests were invited to McQueens’s Bar for its signature cocktail prepared by the bar’s French mixologist Thibaud Vatan. “Since the hotel’s opening, the result of the past one year has been successful in sales, service and contribution to the Busan economy. 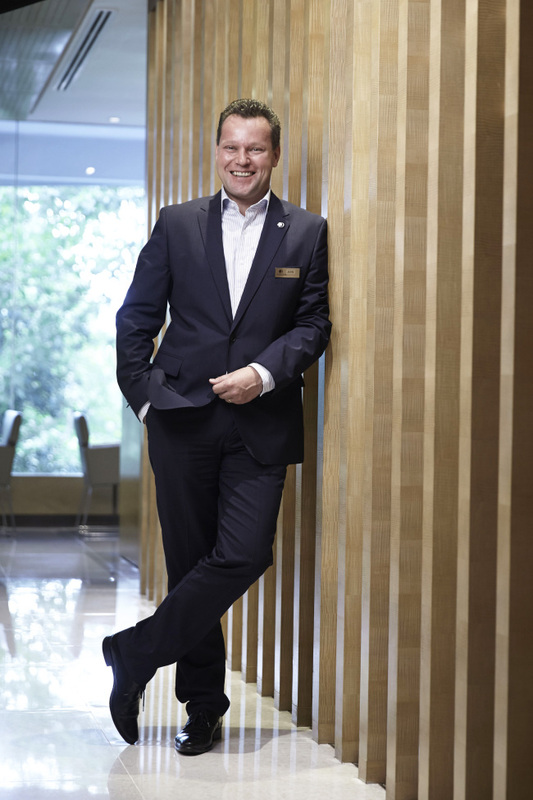 It also has led to an eye-opening result, suggesting a new standard for Korea’s destination hotel,” general manager Jean-Sebastien Kling said.